This just in! We are having a pop-up warehouse sale in Santa Ana this March 1st - 4th! RSVP to the event on our Facebook Page by clicking the button below! 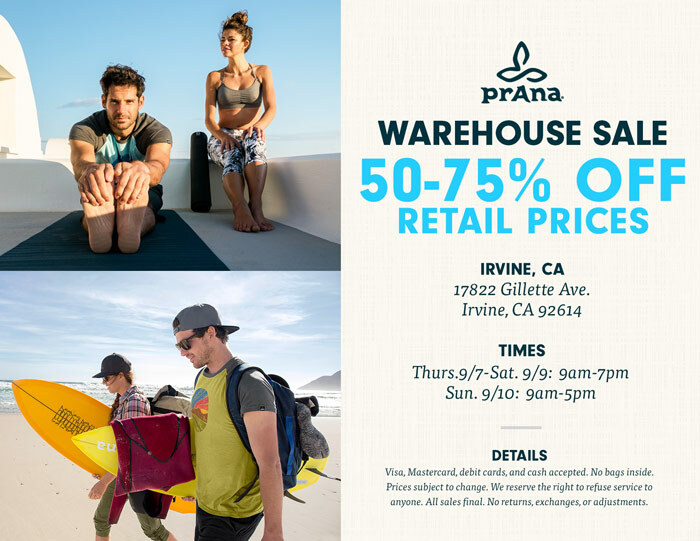 Tag your family & friends below, and come score up to 50-75% OFF on your favorite prAna styles, from activewear and travel styles to climbing gear and more! CLICK HERE to get updates about this sale!